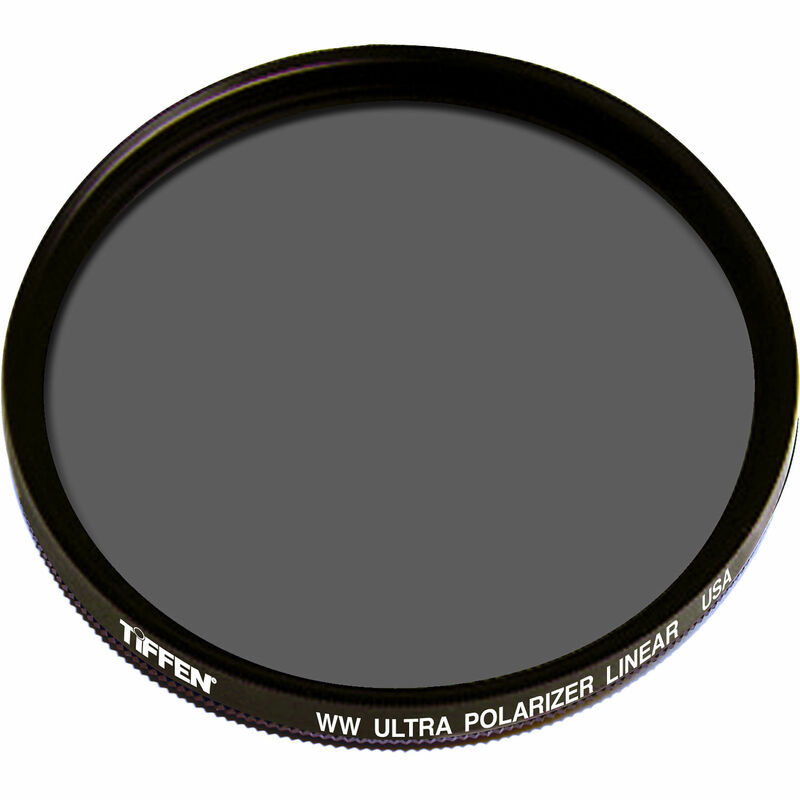 The Tiffen 4.5" (Drop-in) Warm Linear Ultra Polarizing Water White Glass Filter is a wonderful filter designed to bring significantly more "snap" to your images. If a traditional polarizer doesn't give you enough "zip", the "Ultra" polarizer gives you a little more. It will bump up your blue skies even more - making the difference between a good photo and a great image. The additional warmth that this filter generates comes from the incorporation of Tiffen's exclusive 812 Warming filter. Light rays which are reflected become polarized. Polarizing filters are used to select which light rays enter your camera lens. They can remove unwanted reflections from non-metallic surfaces such as water or glass and also saturate colors providing better contrast. Your deep blue sky will become even "bluer"